PowerSchool is now visible to all students. Please take a look at your teens schedule in Power School to verify the schedule is accurate. Changes may not be made after Tuesday, September 27. Second semester schedules will be visited in January. Schoology will be used as a course assignment/resource hub and PowerSchool will be utilized as the course assignment grade/points hub. The Senior Internship Class has openings for seniors. Seniors will be mentoring Fall Creek students 1x month, participate in being an Outdoor Science School (5/6th grade science camp) cabin leader, and develop a year-long project that will be viewed by the community. We meet on Fridays with a reserved block of time of 10-12:00. Email Kay: kmendoza@slvusd.org if interested! PSAT (Practice Scholastic Achievement Test) is scheduled for Wednesday, October 19 at SLVHS. Registration typically starts the first week of October. Please watch for our Bulletins. Charter students will register at the SLVHS counseling office. Space is limited, so please watch for the first date to register. Cost $20.00-$25.00 payable to SLVHS or cash. The PSAT is held in the SLVHS gym and students must arrive at 7:30am to check-in. The doors close at 8:00am and the exam begins. The exam is 4 hours long. How is the PSAT scored? Remember this is a practice exam. The Critical Reading, Math, and Writing raw scores are converted to scaled scores ranging between 20 and 80 (80 is the highest possible score). A student's total PSAT score, or Selection Index, is the sum of the three scaled scores and can range between 60 and 240 (240 is the highest possible score). You many take this practice exam as many times as you like in order to get a feel for the SAT. It offered one time a year at SLVHS. Students NOT planning to apply to a 4-year school as a 12th grader, need NOT take this exam. This practice test is in place for students wishing to take the SAT as a Junior/Senior with plans to apply to UC's, CSU's or sometimes private colleges. Most of our charter students have taken the PSAT during their sophomore year to get the feel of the test. However, it is only the scores from the PSAT taken in their junior year that are considered for the National Merit Scholarship competition. Do I need to take the SAT if I am planning to attend a 2-year college? No you don't take this exam. However, 2-year colleges have their assessment placement tests for students to register for. Learn more by attending Cabrillo College Information Night coming soon! Wednesday was Club Day at the comprehensive high school and the turn-out was amazing. Several Charter students jumped right in and showed interest in several after-school clubs. It is not too late to join a club! Here is a list of club opportunities. Creative Writing Club, - Santa Cruz Mountain School Surf Team, - Video Game Production Club, Environmental Club, - Fashion Club, - Makers Club, - Gender and Sexuality Awareness (GSA) Club,- Book Club, - Badminton Club, - Future Business Leaders of America, - Ultimate Frisbee Club, - The Anime Society, - Marine Life Matters Club, - SLV Fishing Club, - ACA Cougars (Acappella group), - Ukelele Club, NCBI, - Interact Club, - Key Club, - Psychology Club, - and Ham Radio Club. Interested in joining a Club? Ask your Supervising Teacher to assist you with contacting the club lead teacher/supervisor. Keidi has plenty of books to hand out to our Leadership class and anyone else who would like to support our Leadership Student Team. Once again this year the Boardwalk and Capitola Auto Mall have teamed up and are offering the opportunity for schools to raise money by selling tickets to win over a hundred prizes including ten $1,000 cash prizes and one Grand Prize: a brand new Toyota Prius or Subaru Outback or $25,000 cash! For many years parent volunteers have been an important part of the education system in San Lorenzo Valley Unified School District. In SLVUSD, we believe that parents, teachers, and the community all have a part in raising the children. In an effort to keep all students safe, SLVUSD will be implementing two changes to the District Volunteer practices. 1. Volunteers who transport students for school events, field trips, or athletic competitions will be required to be fingerprinted. Additionally, volunteers who work outside of the classroom with students not under the direct supervision of a school employee will need to be fingerprinted. This fingerprinting will be paid for by SLVUSD. In order to make this process as easy as possible for our volunteers, our District School Nurse will be available on designated Volunteer Sign-Up Days in September and October to conduct free TB risk assessment screenings. Representatives from our HR Department will also be available on these days to process Live Scan fingerprint forms for you to take to the County Office of Education. Please bring your state-issued photo ID to Volunteer Sign-Up Days. Tri-Campus (SLVE, SLVMS, SLVHS, CRMS, CRHS): September 28 from 1:00-3:00 pm in the cafeteria and October 12 from 8:15-9:45 in the cafeteria. Get there early! No picture taken - no student ID. No need to purchase photo packages. You may wish to enhance your math supplies with a good graphing calculator. You'll use this in future math courses at the higher levels and in college so we recommend spending $$$ on this item. Concerned about the Cost of College? If you are looking for ways to make college more affordable, join other parents and students on Thursday, September 29 at 6:30 pm in the SLV High MPR for a special presentation by Steve Shapiro entitled, "How Will You Pay for College?" Steve is a CPA and Certified Financial Planner who has been helping families in Santa Cruz County with college tuition planning for over 10 years. He speaks to parents at many local high schools every year. 1. The basics of how to get financial aid: who should file; how the system works; who gets the money. 2. Strategies to reduce your cost: approaches for low income families and high income families. 3. Why recent changes in the financial aid process make it more important than ever to begin early. This presentation is not just about financial aid. Reducing the impact of college costs depends on planning ahead and doing your homework. Even high-income families can reduce the impact. Please mark your calendar and attend this important meeting. Time to be announced. Please stay tuned! Students in all grades and their parents will benefit. If you want to reduce college costs, do not procrastinate, now is the time to take action. It’s NEVER too early to start thinking about GRAD NIGHT! Our "go-to" committee representative is Laurie Becker! Thank you Laurie! Laurie will be seeking parent volunteers from the 11th grade class as well as from the 12th grade class. Please watch for important information on how you can support this fantastic celebration! Please come to a Grad Night meeting to help plan an awesome night for your Senior to remember. We are meeting on the first and third Wednesday of each month in room D6 at 6:30 pm. It takes many hands to put on this event and we could really use some extra help. Bring a friend. - Devices should have at least a 6 hour battery life, wireless, and a real, non-screen, keyboard. - A Cell Phone is not considered to be an adequate device for school purposes. - Please label the device with the student’s first and last name. - Bring your device to school each day. - Loaner devices will also be available at school. - Devices need to be fully charged at home each night so they will last the school day. - Devices will be used in classrooms when instructed by staff to do so. - Devices will be put away, either turned off or in a sleep mode, when instructed by staff to do so. - During class, devices will only be used for school-related activities as instructed by the teacher. - Outside of class, students must follow all rules of Acceptable Use Policy and School Discipline Policy when using their device. - Students should not touch or use another student’s device without permission from the owner. - Vandalism, misuse, or theft of another student’s device will follow School Discipline Policy and may be reported to law enforcement. - It is recommended to have protection for your device. This could include a sleeve, a hard shell case, a backpack with a padded sleeve, or all of these together, to provide as much protection as possible. 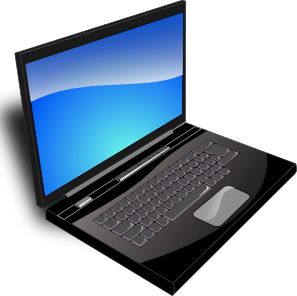 - Never put a pencil or other object on a laptop as closing the lid will damage the screen. - It is recommended that a student never leave his or her device unattended at school. - The care and safety of the device is the responsibility of the student. The school and the district are not responsible for lost, damaged, or stolen devices. - During team sports activities, student must lock their devices, along with their other valuables, in their P.E. lockers or in one of our classrooms. However CRHS classrooms close at 3:30. - Food and Drink are not allowed anywhere near any device at any time ever.